The clocks have gone forward and work is well underway to make 2019 another great year for TYMBA. Our focus for education continues with the Royal Marines joining us once again for a workshop on the 1st June. We’re working on feedback from our last workshop where we’ll be having smaller, sectional sessions and also more in depth support for those wanting to know more about conducting and arranging music. I cannot express my thanks enough to the Royal Marines who are also providing a great venue for our National Championships. 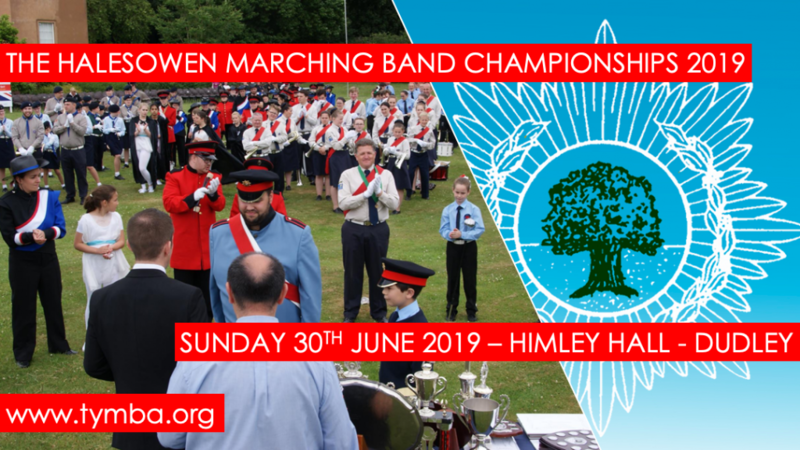 But, before this, we’ve got our opening competition of the year in Dudley for the Halesowen Marching Band Championships which once again is centre stage for the borough’s Armed Forces Day event. We’ll shortly be hearing more about the Greater Manchester Competition which is set for September, as is the National Championships. The event will take place over two days thanks to our hosts, The Royal Marines Band Service. Day one will see bands working with some of the best musicians in the world, fine-tuning their routines before taking to the arena the following day. Thanks to the Marines, our young members will also be getting a glimpse of life onboard ship with accommodation being provided on HMS Bristol. This is a really exciting opportunity and a unique experience for our bands and cements our relationship with The Royal Marines and long may it continue. Behind the scenes and work continues to find a new treasurer and vice chair to help lead the association forward, anyone who is interested in getting involved can talk to me directly. Thank you all, the hard work starts now!